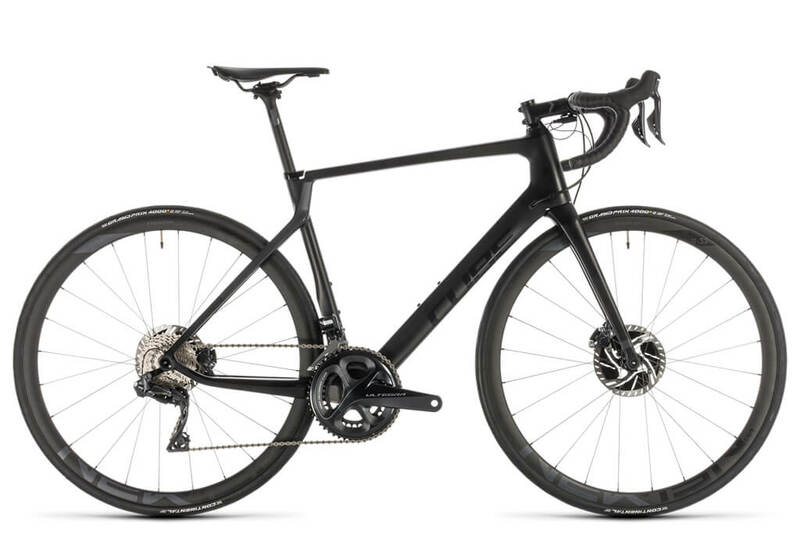 The Cube Agree C:62 SLT Disc -a light, stiff and comfortable endurance race bike that will allow any rider to push their limits. The Cube Agree Road Disc bicycle is a popular choice for our customers which we often recommend to our customers. It’s an uncompromisingly light, stiff and surprisingly comfortable endurance race bike that will allow any rider to push their limits or enjoy a long day in the saddle. The bicycle is built on the light, stiff, comfortable and ærodynamic Agree C:62 carbon frameset and fork – for excellent handling, explosive acceleration and mile-munching comfort. There is a full complement of Newmen components and wheels, so you’ll always be in complete control. And Shimano Ultegra Di2 disc components give you slick shifting and ultimate stopping power. The centrepiece of the Agree C:62 SLT is one of the most advanced disc-compatible carbon race frames available. The Cube engineers and designers pulled out all the stops to make this chassis nimble, comfortable, efficient and ærodynamic. All at the same time. Impossible? Not when you know how. The front and rear wheels feature 12mm thru-axles for improved stiffness, while the complex profiled down tube and chainstays build into an incredibly efficient structure. Slender seat stays and the carbon fork blades combine with a narrow diameter seatpost for surprising comfort, while the integrated seat clamp is just one of the small touches that helps improve ærodynamics. The tapered head tube and PressFit bottom bracket improve steering precision and pedaling efficiency, and the internally routed cables keep everything neat and tidy. The looks may be understated… the performance is anything but. Cube’s attention to detail and extensive in-house testing has given the Agree an exceptional ride quality.